plasq | Moving and resizing panels. 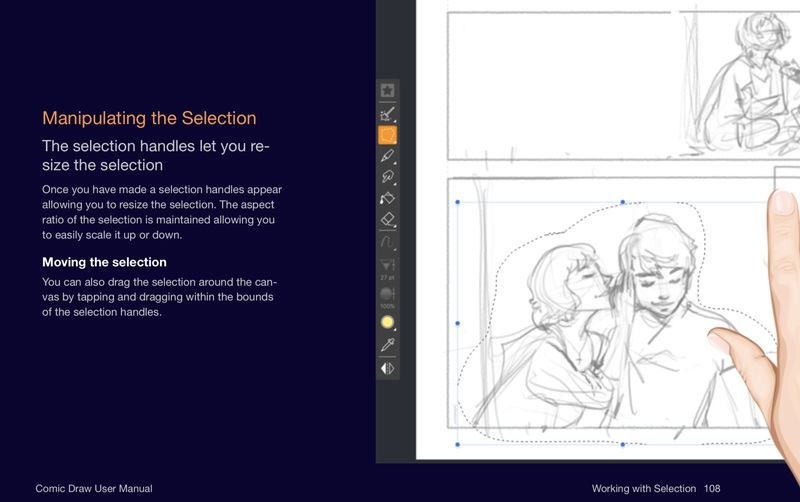 Home › Comic Draw for iPad › Moving and resizing panels. I’ve been drawing panels using the panel drawing tool in the inking interface. I can’t figure out how I can move them around and resize them. 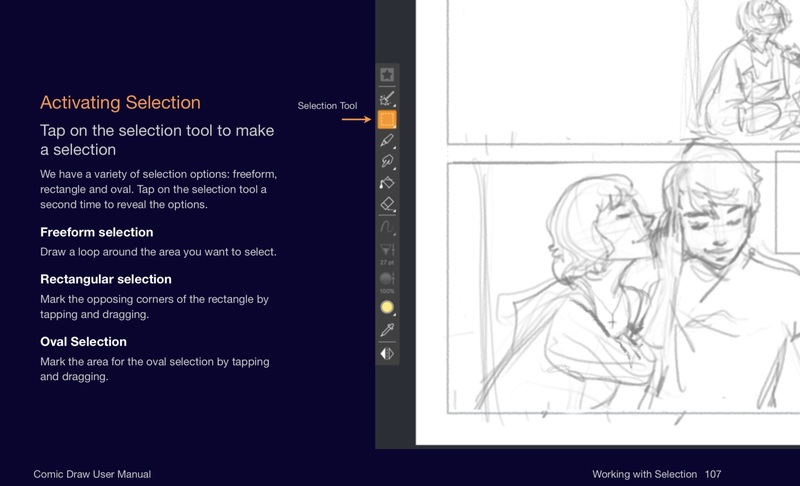 You can access the extensive 200 page User Manual from the Tools menu in Comic Draw: which takes you to the manual download on the iBooks store. I do have the user manual, unfortunately a search for resizing, adjusting and moving panels all turned up nothing. So, the drawing interface is not the one to use if I want to reshape my panels? I should instead be using the lettering interface? 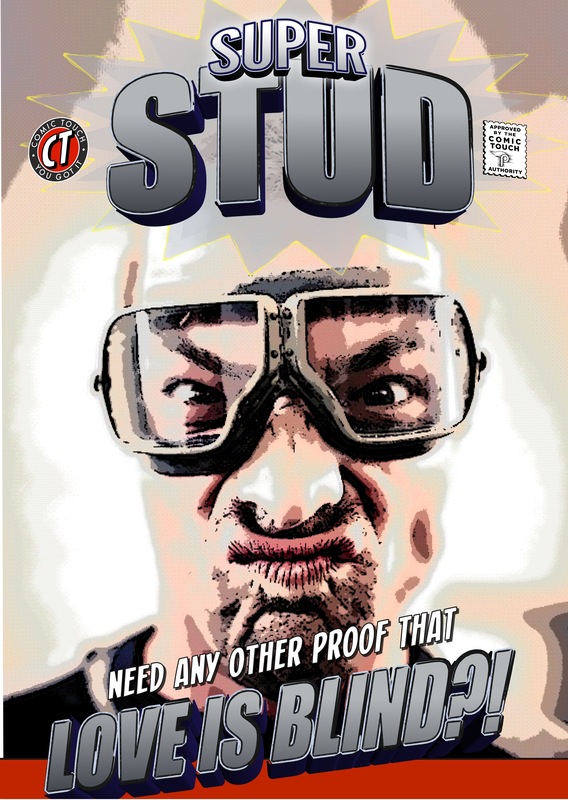 That makes sense, since it’s the one that uses vectors. I experimented with the box tool in the lettering interface and it looks like it snaps to guidelines, but I can’t see those guidelines when i’m In lettering mode. Is there any way to enable them? You can’t get the same Panel guides in the Drawing interface as in the Lettering interface. We are going to be making some major improvements in this area in the next major update – 1.2 – to make panel layout much improved and faster.